The Tetsucabra is a monster new to Monster Hunter 4 that looks like a giant frog. It’s a pretty fun fight, especially for us hammer users. The Tetsucabra is a frog-like monster with bright orange scales on the front half of its body and dark blue ones on the back half. Its colouring is reminiscent of a variant of the strawberry poison-dart frog. It belongs to a new class of monster known as Amphibian, which only one other monster and its minions belong to. It’ll be getting a new subspecies in 4 Ultimate, which is coloured green. The Tetsucabra is weakest to ice and lightning. It can inflict iceblight when you fight it in the Frozen Seaway, but doesn’t do so in any other area. Aside from that iceblight, it cannot inflict any elemental status effects. One of the most obvious features of the Tetsucabra is its large, powerful jaws, from which two particularly large teeth jut out. It uses these jaws to pick up boulders, which it does a few things with. It can pick up a boulder and immediately leap into the air, smashing the boulder and damaging the hunter with its shards. It’s able to heave a boulder into a standing position, which will fall over after a short time. It can also pick up a boulder and walk around with it, approaching the hunter and then smashing it for damage. 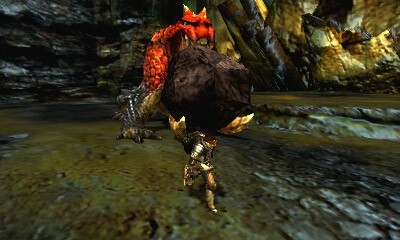 When it starts carrying a boulder around, you can actually make it drop it if you hit it enough. This will also cause a shiny to drop. 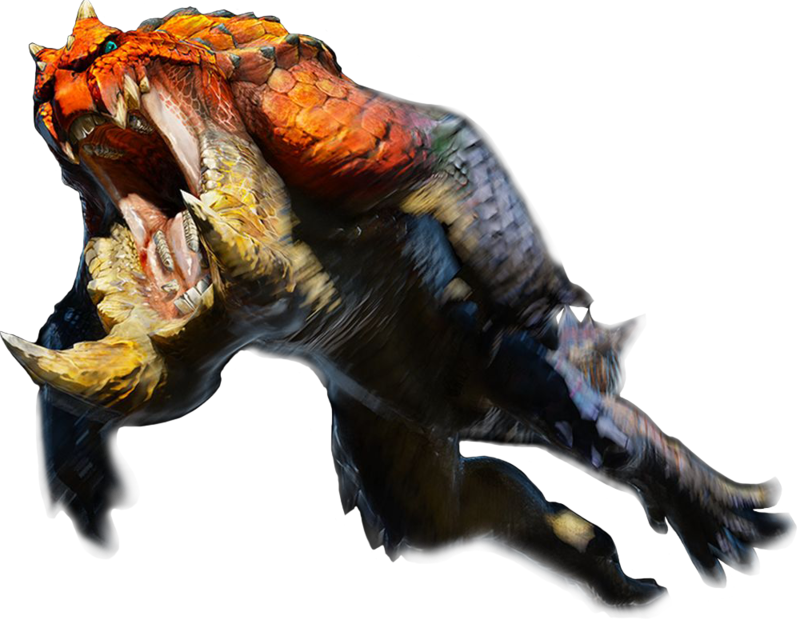 As with most things in Monster Hunter, if it stands out, it can probably be broken. The giant teeth break separately, and each break reduces the size of the boulder it can stand up. It decreases with the first break, and then again with the second. Aside from the jaws, its back and hind legs can all be broken. A number of monsters both new and old can have their back broken due to the new riding mechanic, as it makes it much easier to reach this area of the monster’s body. 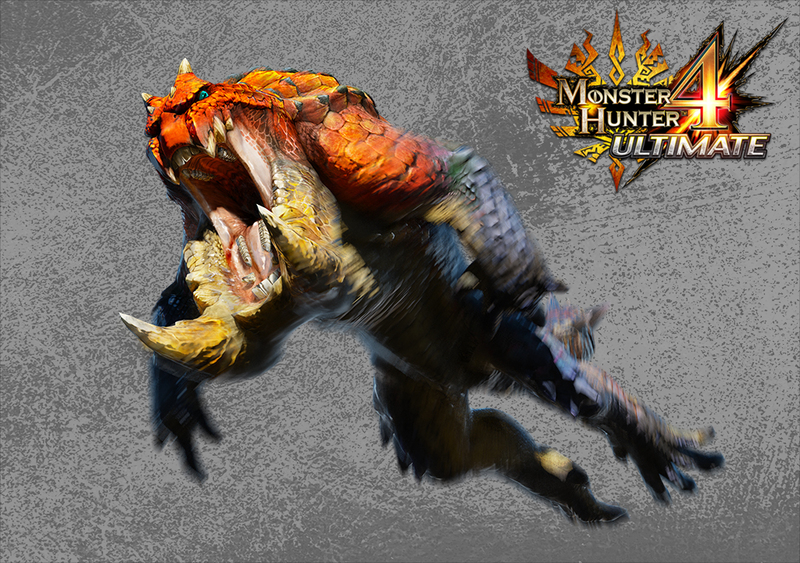 One of The Tetsucabra’s more irritating attacks is a green glob which can be fired across the map, dropping the hunter’s stamina to zero. It likes to follow this up by leaping on to the hunter, which is difficult to escape as you’ll have no stamina with which to roll out of the way. And it can leap very, very far. Sometimes during the hunt, the Tetsucabra’s tail will puff up, turning from a dark brown to a light grey. When you see this happen, try to hit it! 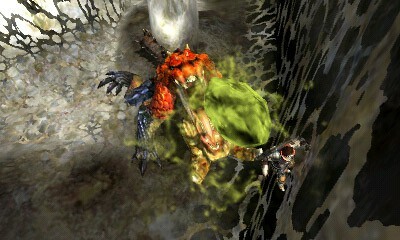 A puffed-up tail is the weakest point on the Tetsucabra, so when you can, exploit it for massive damage. When it gets low on stamina, it will find a Popo or an Aptonoth to eat. That’s all there is to know about the Tetsucabra. Next week I’ll talking about my least favourite of the new monsters, the Nerscylla!